If not, you may need to check out this blog. Well, I can reveal that this machine is pretty much guaranteed to have had Italiano keyboard. I came to this conclusion about half an hour after talking to John on the phone. It was something painfully obvious that I had overlooked on the first assessment, that I gave myself a massive face-palm after I discovered it. 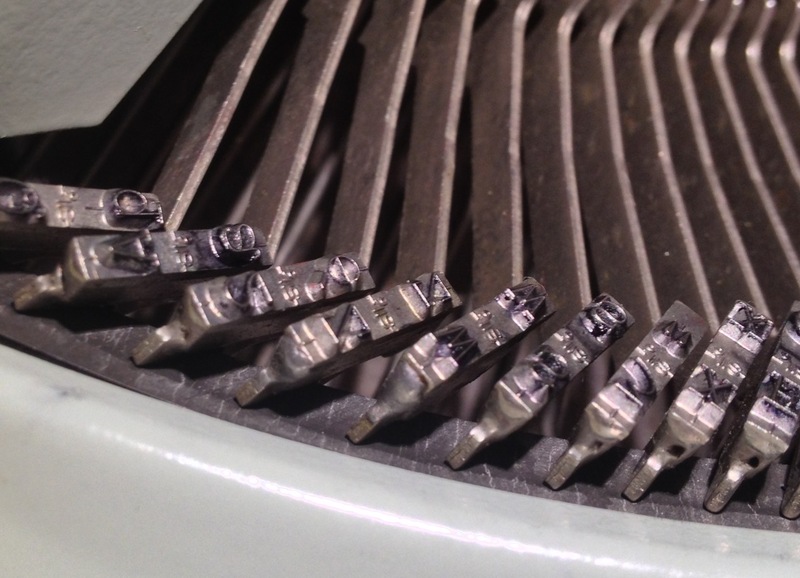 I’d been talking to John about how difficult it would be to transfer and re-solder type stubs between typebars. John mentioned that he’d actually done it ‘thousands of times’ before, and that it was a fairly routine repair. After I put the phone down, some of the discussion seemed to be still ringing in my ears. So I grabbed the Hermes Baby out, and had a good hard look at the type stubs. And what do you know! Two particular stubs had a modest excess of solder on them. The soldering job was professionally done, and until I looked very closely, I hadn’t actually spotted it. And what are the keys? Well… W and Z. No other keys displayed this over-solder, and I’m pretty confident that the machine’s keyboard was originally a QZERTY setup. In other words – Italiano! 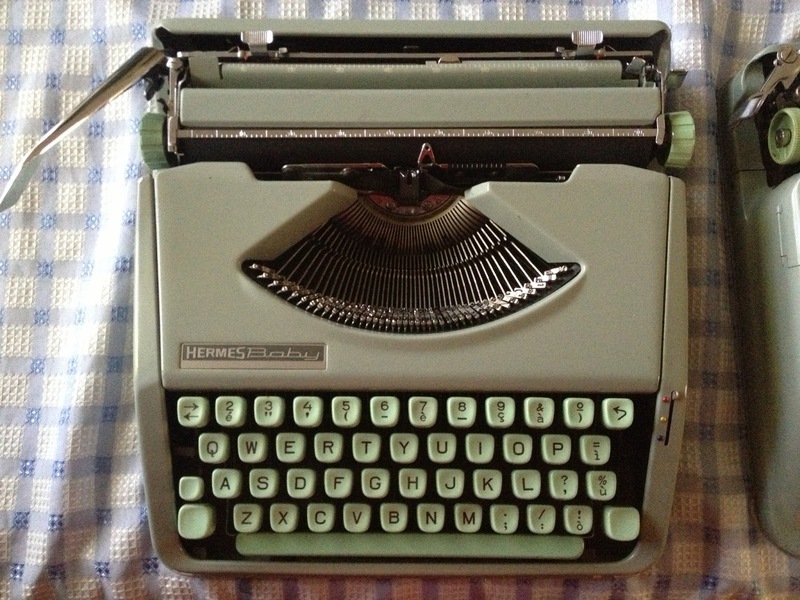 As stated in my blog previously, this typewriter was purchased new from the dealer rather soon after the typewriter was manufactured. My guess is that despite the influx of Italians into Australia, the dealer of this machine found this stock item had been lingering in his inventory for a bit too long, so they got one of their technicians to swap the keys to give it a better chance of selling. Either that, or supply of Hermes Babys were so short, that this machine had its type swapped so that the salesman had a machine to offer within what may have been a pressured amount of time. So, I’m calling it. I think this is firmly an Italiano machine which had been converted by the dealer before it was sold – new. Meanwhile…. back at the ranch. 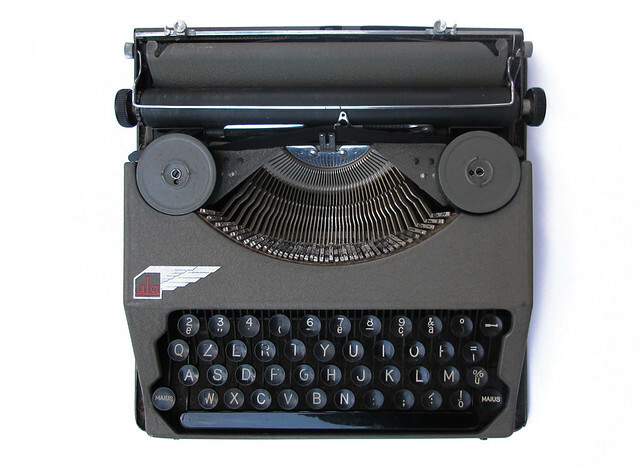 Many of us from the typosphere are very conscious about the sustainability of our activities, and we enjoy the fact that our typewriters use renewable materials and have a very limited carbon footprint. But, what about our websites? You may ask. They use power hungry severs, and all kinds of stuff! Well! I think I have the answer as to how the typosphere is powered as well. The idea came to me while I was reading this interview with Christopher Lockett – the director of “The Typewriter (in the 21st Century)”. It was when I read the quote: “Richard Polt, a professor at Xavier University in Cincinnati — he runs the Typosphere, a group of websites related to typewriters” that I formulated my theory, which led me to and amazing discovery. Now, having never received orders or directions from Richard Polt about my blog, I was trying to figure out exactly what he was running. So I dug deep. Deeper than I’ve ever dug before. Deeper than a drunken backhoe operator trying to see “how deep this thing can dig”! Deeper than a oil rig can drill. Deeper than any random conspiracy theory goes. Deeper than the X-Files. Yeah. I dug deep. And you know what I found? Yeah, that’s him.. Richard. Single handedly powering the servers that run our blogs. What a great guy! Now I know what they meant by ‘running the typosphere’. 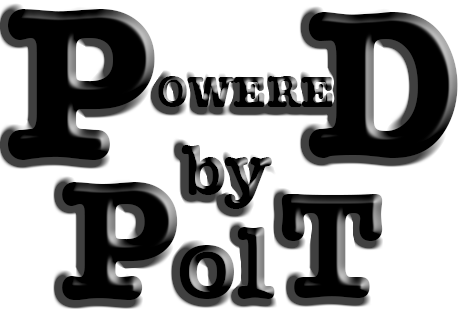 So, I declare this blog…..
Discplaimer: Powered by Polt is a non profit organisation that might not actually exist. If you are looking for someone to power your oversized computer or plasma television, please, throw the things out. 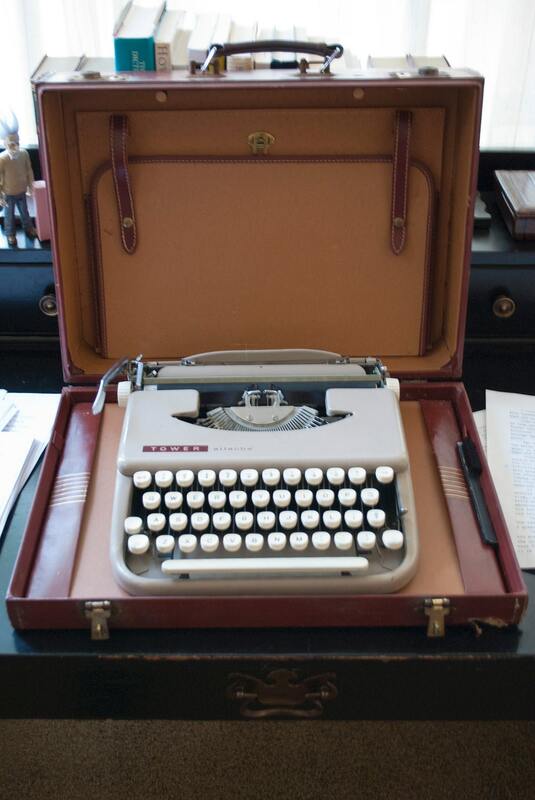 Get a typewriter and got and type out in the real world and away from your television. Although, make sure you have a friend that has a computer, so you can occasionally come back and read this blog. I hope Richard has a sense of humour. Hi Richard! This was done with the upmost regard for you… and your running! I think you — huff — must have figured out the — puff — right answer about that — huff — Hermes! so what's in the case he's carrying? A Tower Attache? Hey! I think you might be right! Ah! I think so too. Well, of course! The truth is out there..
Mr. Ernaghan, the Italian alphabet doesn't use a letter 'k'. Has that typeslug been switched as well at some point? 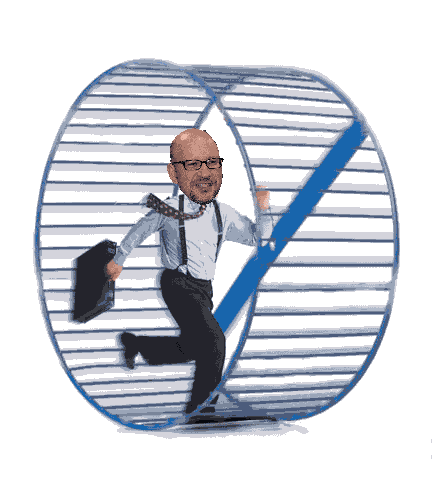 He's a Big Wheel in a big wheel! That's why he smiles so! Shows how attentive I am. I'm watching an over-priced Studio 42 at the moment and the Keybank has a 'k' in it. Maybe it's so they could type “How much for kesh?” (I'm Italian, so I'm allowed to poke fun, capeesh?). You get your 'k' back, Mr Kernaghan!